This system upgrades ONLY existing Portable Motor Control Learning Systems (990-MC1). This system adds fault troubleshooting capabilities to 990-MC1s and requires customer supplied shipment to and from Amatrol for installation. 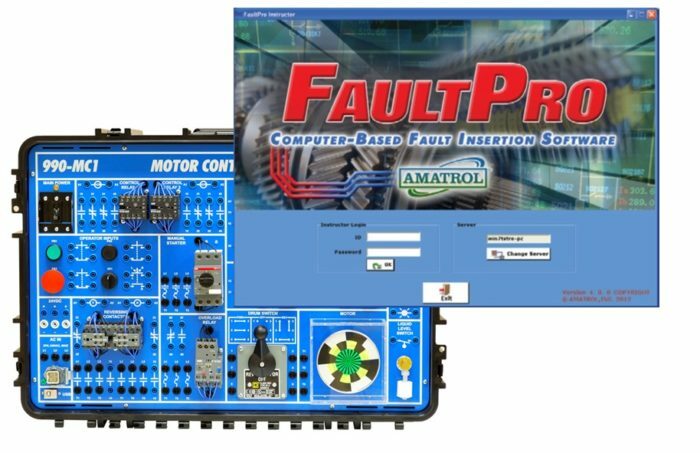 This system includes computer-based fault controller board with faults, FaultPro fault insertion and tracking software, and more!